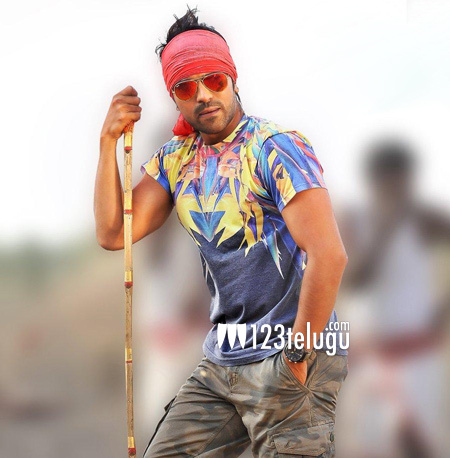 Mega Power Star Ram Charan has completed a fresh schedule of Krishna Vamsi’s ‘Govindudu Andhari Vadele’. The film’s montage song was shot recently and the team is going to take a break for two days. The next schedule will begin from the 21st and some important scenes will be shot then. Charan and Kajal Aggarwal will be seen as the lead pair in this movie and a special set has been readied in Nanakramguda for the film. Srikanth and Kamalinee Mukherjee will be seen in important roles. Yuvan Shankar Raja is the music director for this movie and Bandla Ganesh is producing the film. The movie will release on October 1st.